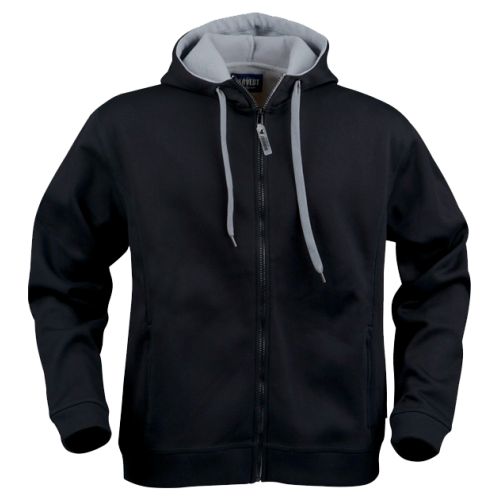 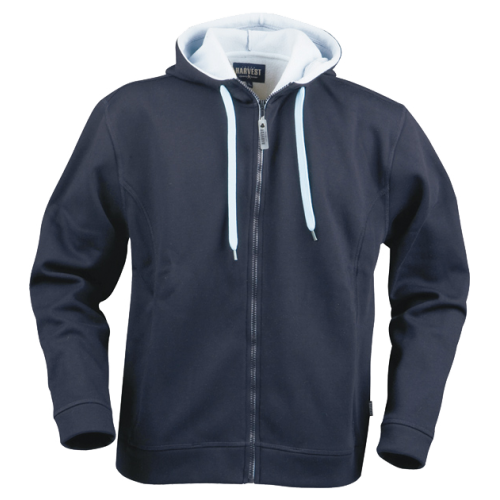 Jacket in “double-face” with contrast coloured fleece on inside and single jersey on outside. Contrast coloured drawstring on hood. 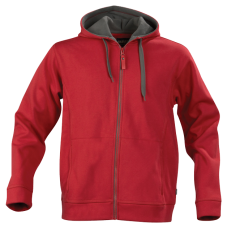 Zipper in pockets and flat lock seams tone in tone.